As the advancements in technology and cutting-edge treatments continue to push modern medicine forward, there are plenty of real-life examples of groundbreaking health care happening right here in our backyard. 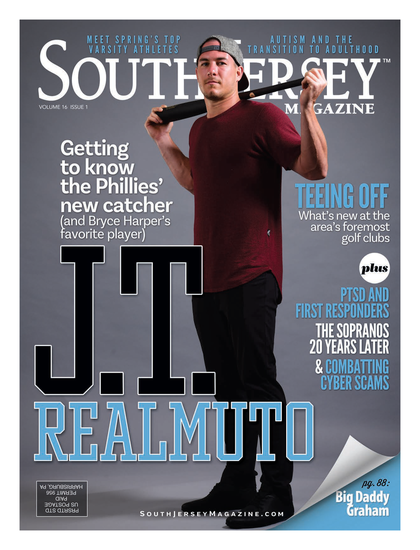 Each year, South Jersey Magazine looks to highlight shining examples of how the local medical community consistently rises to the occasion and these wonderful stories in the following pages will introduce you to some amazing health care professionals and the patients whose lives they have forever touched. It was a seemingly regular night for Linda Lathrop as she winded down from her day in January and was settling into her nightly routine, until she was suddenly unable to move. “Her left side was droopy, she was leaning to the left in the chair and she was slurry in her words,” Bob recalls. Those are the obvious signs someone is having a stroke, and Bob knew he had to act fast and get her to a hospital right away. Their daughter called 911 and an ambulance rushed Lathrop to Jefferson Stratford Hospital before she was transferred to Jefferson Washington Township Hospital. Lathrop spent four days in the Intensive Care Unit before she was moved to a rehab hospital in Marlton. She was told she’d be there for three weeks and only ended up staying one week—the first sign that she was a fighter. Following her stint in the rehab hospital, she came home to start outpatient physical therapy and finished the beginning of July. The doctors at Jefferson Health think Lathrop’s stroke was brought up by an unknown cardiac issue and had her wear a cardiac monitor when she was discharged from the hospital. Her heart stopped a few times which led to her seeing a cardiac physiologist and giving her an internal monitor. Then in July, they placed a pacemaker inside of her because her heart was slowing down too often. Every night the pacemaker transmits data to her doctor’s office and she hears from them if something is wrong. Despite feeling a little sore after the pacemaker procedure, she feels like she’s almost back to normal and credits support from her family in her recovery. “I’ve come a long way,” she says proudly. “I was using a walker at first and then a cane, but now I only use it if I’m unfamiliar with where I’m going and I’m a little shaky on my feet. It takes me longer to do things then it used to; some things are harder than it used to be, but I don’t really have any limitations. For the most part I’m pretty much back to normal, and I have had a lot of support between my husband and my kids. My grandson is also living with us and he’s a big help. And she doesn’t take anything for granted. While she was at the rehab hospital, she saw patients that were “so much worse off” than her. He says that should be the biggest thing to take out of Lathrop’s case—to raise public awareness about acting quickly in these situations. Gisell Cornish remembers the day vividly. She had just given birth to a beautiful baby girl at Our Lady of Lourdes Medical Center and was getting ready to be discharged. “I was packing my things to go home,” she recalls. Helene Pietrangelo, a nurse at Lourdes, had been caring for Cornish and her daughter Iliana during their stay. The night before while checking the baby, Pietrangelo heard an odd clicking-like noise she had never heard before. She alerted the doctor, saying the noise would come and go, but when the pediatrician checked on the baby, the soundwasn’t audible. The next morning when Pietrangelo showed up for work to find out that Cornish had been approved for discharge, she was relieved to know that everything was seemingly OK.
As Cornish gathered her things, Pietrangelo went through her regular routine of checking on the newborn. The sound she heard the night before had returned but now was more pronounced. Additionally, the baby’s heart rate had become erratic. To this point, there had been nothing amiss with Iliana, yet Pietrangelo wasn’t convinced. She spoke to the on-call doctor who examined the baby and was able to hear the noise but thought it was something that could be addressed by the family’s pediatrician upon discharge. Pietrangelo pleaded for an EKG. It came back perfectly normal. Yet, the clicking sound remained, and now the baby was losing oxygen. That’s when a cardiologist was called in to see if sense could be made of the situation. “I wasn’t completely convinced and me being selfish, I needed someone to tell me what the sound was,” Pietrangelo says of her insistence. The doctor arrived and performed a 2-D echocardiogram. “I knew after about 15 minutes that something was wrong,” Pietrangelo says, citing the procedure should take about 10 minutes. Forty-five minutes later, the doctor informed Cornish that the issue was significant and that Iliana would be sent to the cardiology unit. There, the baby lost more oxygen, turned blue and intervention was needed. It was at that point that Iliana had to be moved to Children’s Hospital of Philadelphia and was diagnosed with Cor Triatriatum Dexter, a rare congenital heart anomaly in which a membrane divides the right atrium into two chambers. Doctors described it as if a bed sheet were flapping in between the valves. As a result, Iliana would go on to have successful open-heart surgery. Because the family was no longer in Pietrangelo’s unit, she never heard the end of the story until by chance Cornish’s husband ran into a Lourdes executive and asked for their extreme gratitude to be relayed to the dedicated nurse who helped save their baby’s life. Today, Iliana is a happy and healthy baby girl, having recently celebrated her first birthday. She needs to be seen once a year to monitor the situation, but doctors don’t foresee any further complications. And the Cornish family and Pietrangelo have become extremely close, keeping tabs on one another and exchanging holiday greetings. The 58-year-old Pietrangelo always wanted to be a nurse, but didn’t actually follow her dream until her early 50s. For her, it was all in a day’s work, though she thinks that her late start in the field allowed her to be in the right place at the right time. “I felt like I had been punched in the stomach,” recalls Pamela Belko of learning she had cancer. As a person who grew up loving to spend time on the beach, Belko never thought much of the long-term effects of her time in the sun. And it wasn’t until last year when she was getting ready for a big move into a new house that she discovered a large mole on her leg. Brushing it off at first, she was taken aback days later when she happened to read two articles about women who had melanoma, one of whom had died because treatment came too late. “I marched over to the phone and Icalled the dermatologist,” Belko says. After a biopsy was performed, Belko went to see Dr. Nandini Kulkarni, medical director of surgical oncology with Inspira Health Network. “You see with a lot of malignancies, it’s there, but it’s not causing any problems, and you say, ‘I’ll take care of it; it’s nothing to worry about.’ Most melanomas won’t manifest themselves as a problem until they are really deep, and by that time, it’s already quite late,” Kulkarni says. Kulkarni excised the mole and sent it for a sentinel node biopsy to see if the cancer had spread, feeling that the final result could be deeper than the original biopsy, and that there was an increasing rate of lymph node metastasis. As a result, Kulkarni went to perform a lymph node biopsy and that’s when she noticed a second melanoma on the same leg. “Oftentimes, we will see a combination of squamous cancers and basal cell cancers and hidden in that somewhere is a melanoma. What Pam had, with two melanomas growing simultaneously, is quite rare,” says Kulkarni. A second procedure took place, and now nearly a year removed from the ordeal, Belko is extremely grateful, but is determined to help others understand the severity of skin cancer, which she says is often underestimated by the general public. “People say, ‘You have cancer, what kind?’ You say skin cancer, and there’s kind of a relaxed vibe about it. I actually had someone say to me, ‘Thank God it’s skin cancer, that can’t kill you.’ The kind I had, the statistic is one out of nine people don’t survive it,” Belko says. “I feel like if I can get someone’s attention the way those articles grabbed my attention, it could maybe save someone else,” she adds. Belko knows how lucky she was and isn’t shy about showering Kulkarni with affection. “She knows I love her, I tell her all the time,” Belko laughs. Carol Henry had reached her breaking point and was almost ready to give up on herself. That’s when a few meaningful words from her husband George—and a timely trip to Deborah Heart and Lung Center—finally helped bring an end to her medical nightmare. It all started in early 2017 when Henry began experiencing agonizing pain in her legs, which made it difficult to work, enjoy her favorite hobby of flea marketing and even walk. After numerous trips to doctors and specialists and several misdiagnoses, the 74-year-old resident of Mays Landing finally had a vascular checkup late last year and learned she only had 10 percent circulation in her legs. Her regional hospital attempted to insert stents through her arm to open the blood flow, but the procedure failed and it was suggested they try again through her groin. At the urging of her husband and children, Henry sought a second opinion at Deborah and secured an appointment right away with Drs. Kane Chang and Patrick Coffey. Following a full day of extensive testing, she was told that placing a stent through her groin was not advisable due to scar tissue from her history of C-sections and a hysterectomy. Chang told her she needed double bypass surgery, but Henry wasn’t sure she wanted to go through with it. Henry underwent surgery last Dec. 11, less than two weeks after initially coming to Deborah. Chang was confident that the seven-hour operation would be a success, and it was. Henry went on to spend 11 days in the hospital and eight days in a rehabilitation center before returning home in much better condition. Henry was even able to make it out for the start of flea market season, selling glassware and jewelry and other items. Faith Reilly awoke Christmas night with a feeling of indigestion; little did she know it was far worse. She walked downstairs and took a few Tums hoping the pain would subside but 10 minutes later it remained. Standing in the bitter cold was the only relief to ease the nausea. 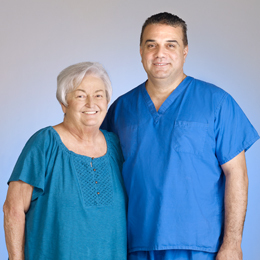 Being a retired nurse, Reilly’s natural reaction was that she was having a heart attack, but on second thought, it couldn’t be true with the lack of heart history in the family. Forty-five minutes later, Reilly concluded without a shadow of a doubt, it was a heart attack. “I don’t think I’m going to be awake in 10 minutes,” Reilly said at the time to her husband Tom. The pain became fixed to her jaw and chest area. Instead of calling 911, the two rushed to the car and drove to Virtua Marlton Hospital, which was right around the corner. Having not called an ambulance, the catheterization team wasn’t prepared for Reilly to come in and called Dr. Kartik Giri, interventional cardiologist at The Heart House, which services Virtua. He had just gotten home from tending to a previous heart attack patient. After putting her on the heart monitor, one nurse’s facial expression turned Reilly’s thoughts of the unknown into reality. The staff couldn’t get an IV line in Reilly’s arm and her blood pressure rose to 220/120 while her heart rate dropped. In walked Giri, explaining she would be taken to the catheterization lab immediately. The cardiac team quickly moved Reilly, as if it were a scene out of the Olympics, and with fear strewn across her face, Reilly told Tom to tell the kids she loves them. It all happened in the blink of an eye, and looking back, listening to her instincts was a big aspect that saved Reilly. She was able to identify her symptoms within an hour—The Golden Hour—to reverse effects on the heart. Giri says that her right artery was 100 percent blocked by a piece of plaque, so she had a catheter-based procedure where a drug-eluting stent would keep the artery open. Reilly expresses her gratitude for the catheterization team, who even in the lab were kind enough to apologize for the cold room. Her greatest gratitude goes to Giri for saving her life. But for Giri, it was giving Reilly’s family the good news and seeing their relief that made it all worthwhile. “It’s really, really gratifying because you go from total utter fear from the patient and the family to like, they feel instantly better,” he says. Since that night, Reilly underwent cardiac rehabilitation for about five months at William G. Rohrer Center for Health Fitness to get her heart back to full strength. Also, for the first six months after the procedure, Reilly followed a strict no-salt diet from the American Heart Association Cookbook. She’s getting back to a normal diet because at the age of 58, she wants to live for today. “I appreciate life every day, I can tell you that. I think I always did but really now I do and I don’t sweat the small stuff at all,” Reilly says. Now, Reilly encourages people, especially women, to take care of themselves and to see their doctor regularly, which she will continue to do with Giri on a yearly basis. In 2011, on the eve of Halloween, identical twins Brett and Kyle Bush of Bridgeton were hanging out watching scary movies with family. Brett suddenly went into a vacant stare. Thinking he was messing around, the family tried to snap him out of it, and when he did, he was crying and complaining of a headache. Brett had suffered a seizure, and after being rushed to the ER he had a second. ACT scan showed a lesion on his brain and the 11-year-old was flown to Nemours/Alfred I. duPont in Delaware. Brett’s condition was revealed to be familial cerebral cavernomatosis. Cavernomas are clusters of thin-walled blood vessels that can bleed into brain tissue, causing epilepsy or strokes. Brett was immediately operated on by neurosurgeon Dr. Joseph Piatt Jr.
“We identified which of his cavernomas was responsible and went right to surgery,” says Piatt. “We used some clever operating room technology and made a small incision over his left ear.” The only difficulty afterward was a slight speech impairment for Brett, which he overcame. “The whole thing was a blur,” says Grace Bush, the boys’ mother. Brett and Kyle require routine MR scans. Kyle began complaining of headaches, which led to a further scan that showed one of his cavernomas had doubled in size over a couple of years. “When Dr. Piatt told us Kyle would need surgery, I lost it. But Dr. Piatt was so calm and informative,” says Grace. “Kyle’s surgery was not immediate, so the waiting was nerve-racking.” After his surgery, again with Dr. Piatt, the goal was for Kyle to be able to walk at graduation and he did. This month the twins are beginning their freshman year at Rowan University with plans to study engineering. Robin Wahl’s on-the-go personality has her active in many things, road cycling in particular. But on March 10, Wahl and her husband Bill decided to take a venture with mountain biking. The two took a ride through Wharton State Forest in Hammonton, amounting eight miles deep into the woods. Wahl’s bike slipped on a patch of snow and she fell into a clear cut where a log hit her leg. Unable to detach her foot from the clip pedal, the fall ended up fracturing Wahl’s ankle. It wasn’t the initial pain that bothered Wahl; it was biking eight miles back on a broken ankle. When they finally got to Dr. Joseph Daniel, foot and ankle orthopedic surgeon at Rothman Institute, a clinical examination and imaging showed that she fractured the lateral malleolus, a part of the ankle joint. On top of that, Wahl disrupted the tissue in between the shin bone and the broken bone. For Daniel, the biggest challenge wasn’t the surgery, it was keeping Wahl at a low speed for the suggested 12-week recovery period. Wahl gets antsy for sitting too long and she credits that to her weight loss journey. Being involved in activities was a way she could not only stay in shape but release stress. To get her mindset back in motion, Wahl kept in contact with Daniel—through texting—with what she could or couldn’t do on her broken ankle. “I think there’s a level of comfort that if you have a question or God forbid something changes—‘I got my cast wet, I have increased pain, I feel like I have the flu, I fell’—then you have direct communication with the individual that’s going to make the directed decision as to how to manage whatever that situation is,” Daniel says. By listening to the doctor’s orders, Wahl was able to get back on her feet, and her bike, in less than 12 weeks, mindful of the recent injury of course. Chris Howe has been fighting the battle of the bulge his entire life. The 53-year-old Browns Mills resident and officer for the Burlington County Bridge Commission Police Department had tried every diet out there, starving himself for short-lived results. His weight also contributed to his need for cholesterol medications. Gupta’s program is designed to help people develop a healthy lifestyle where patients not only lose weight, but keep it off. “Drastic diets are not going to last. It’s about controlling calories and protein. We work with you on foods you actually enjoy, whether it’s eating out, cooking at home or eating fast food. I can work with that,” he says. Success is not only measured by the scale, and Howe is a prime example. Since last October, Howe is down 50 pounds and 10 pant sizes. “He has not only lost 50 pounds but he has gained muscle, he’s down more than 10 percent body fat, he has more flexibility,” Gupta says, adding that every patient is measured on a bio-electrical machine to make sure muscle is preserved and only fat is being lost. Tom Mather has been battling heart disease for years, but the retiree has been determined to never let it slow him down. In fact, the 70-year-old who splits his time between homes in South Jersey and Tennessee can often be found doing what he enjoys most—being on the golf course. An avid player and volunteer for PGA and USGA events around the country, Mather is a fixture on the fairways, despite having double bypass surgery in 2013 and a history of high cholesterol and blood pressure for decades. But on one particular golf outing, Mather began having trouble walking the course, suffering from severe chest pains. A very compliant patient who follows the doctor’s orders, he felt the symptoms were concerning enough to call his cardiologist back at home. Shaikh scheduled an appointment for Mather the day he arrived back in town to check on him. And she saw enough issues that not long after he was scheduled for a cardiac catheterization to have a stent put in. “The thing I’ll never forget, they put the stent in and (breathes in deeply), it was like I could breathe [better instantaneously],” Mather recalls. Now, some time removed from the procedure Mather has returned to physical activity, whether that’s on the golf course, tending to his landscaping or even taking 30-45 minute power walks. “Don’t get overwhelmed, a power walk at 70 is not like a power walk at 30,” Mather quips. To see Mather enjoy his golden years is what makes the job so special for Shaikh, knowing that she played a role in allowing him to return to a sense of normalcy. What Mather looks forward to next is having the rare opportunity to play the famed course at Augusta National Golf Club in Georgia in late October. “It’s pretty special,” he admits of both the opportunity and the care he’s received along the way.